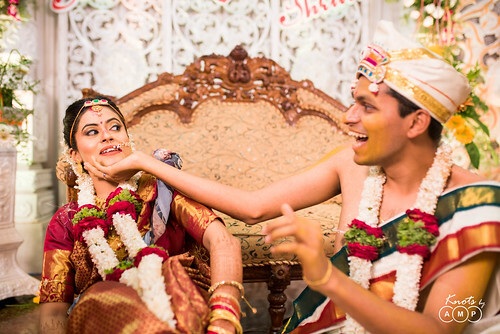 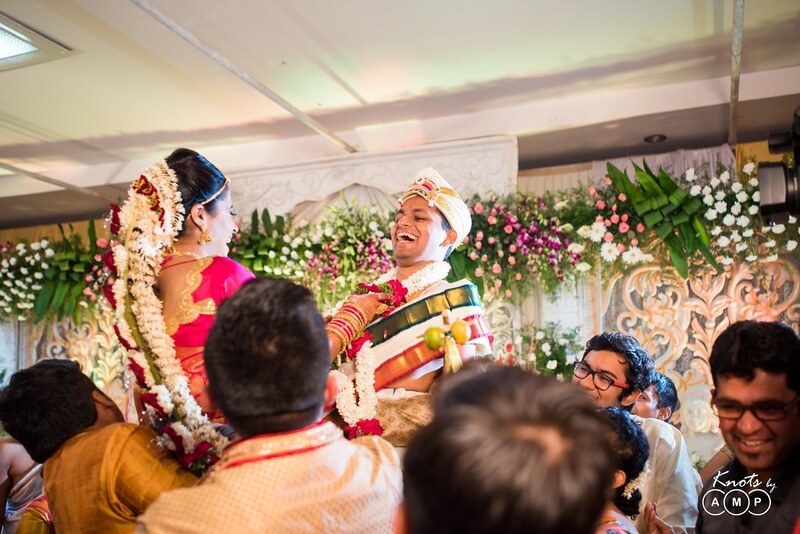 Meet the ever-laughing groom, Shreyas & and his pretty bride Shruti. 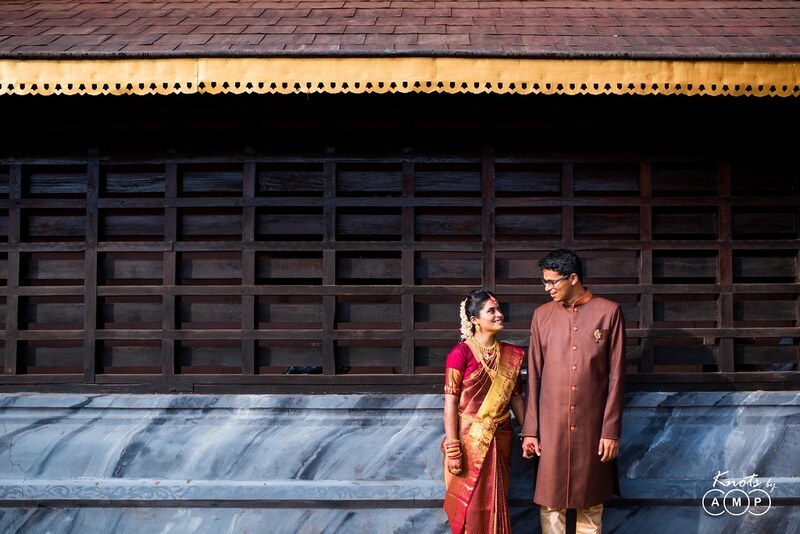 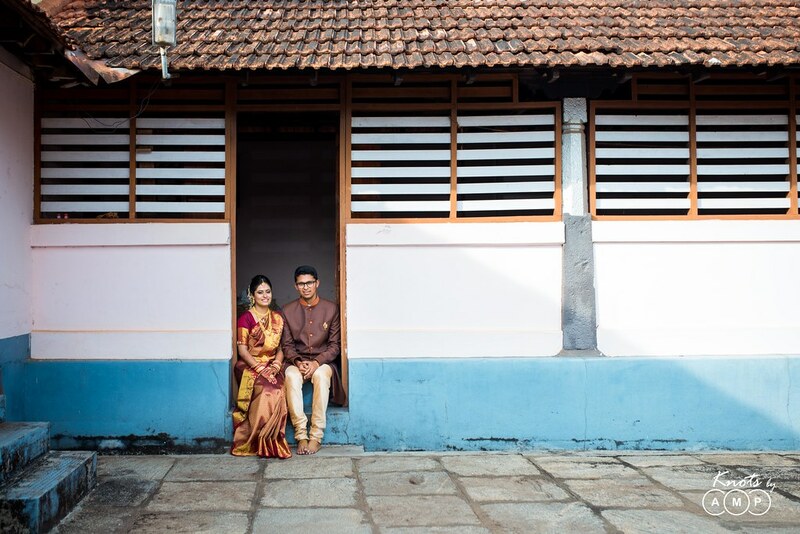 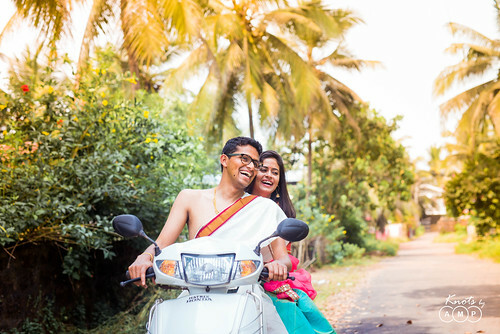 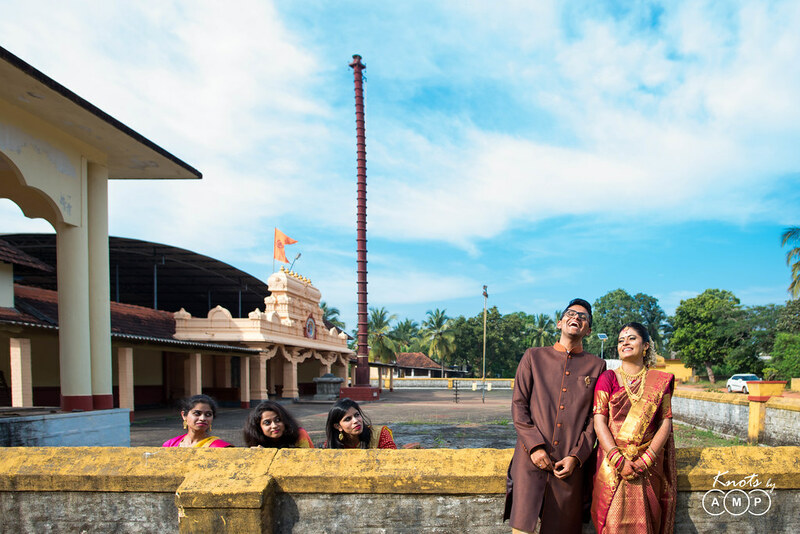 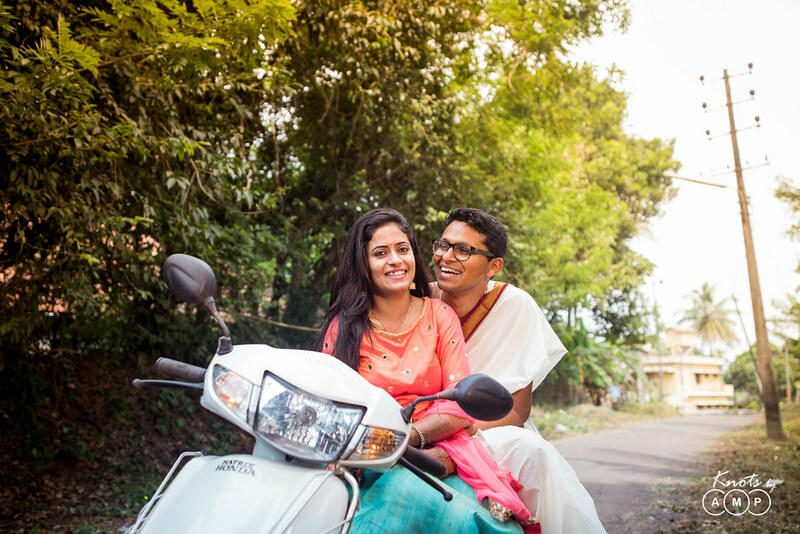 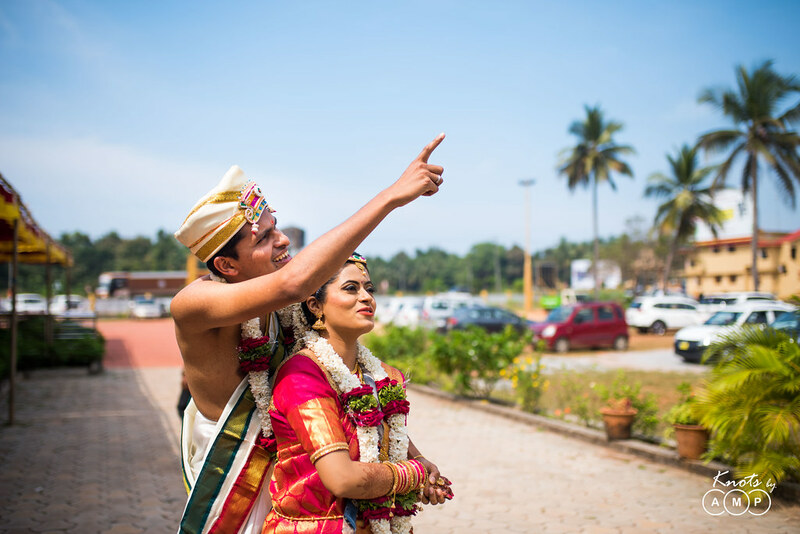 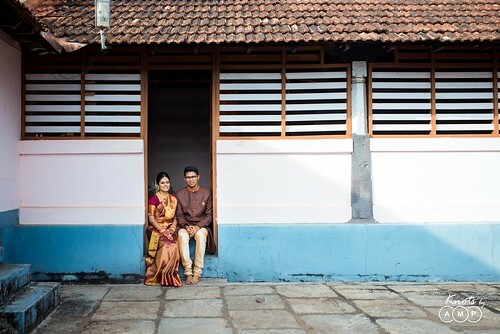 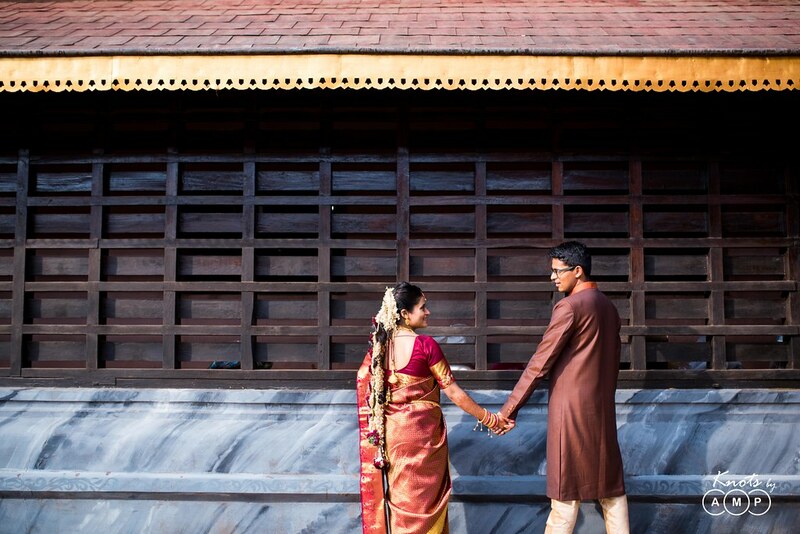 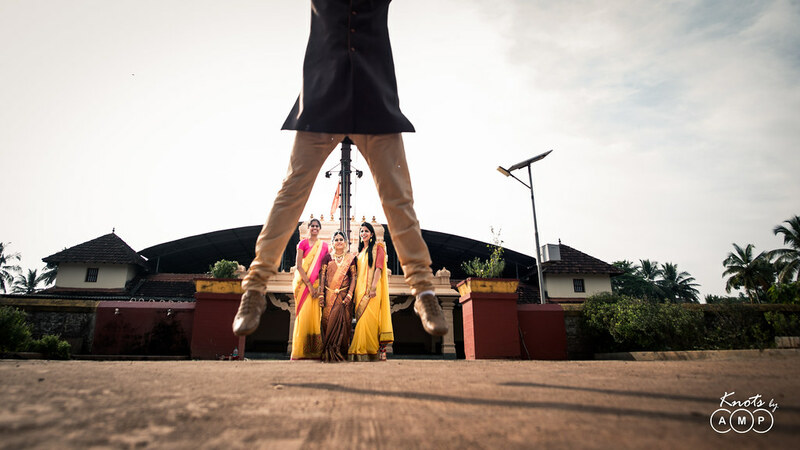 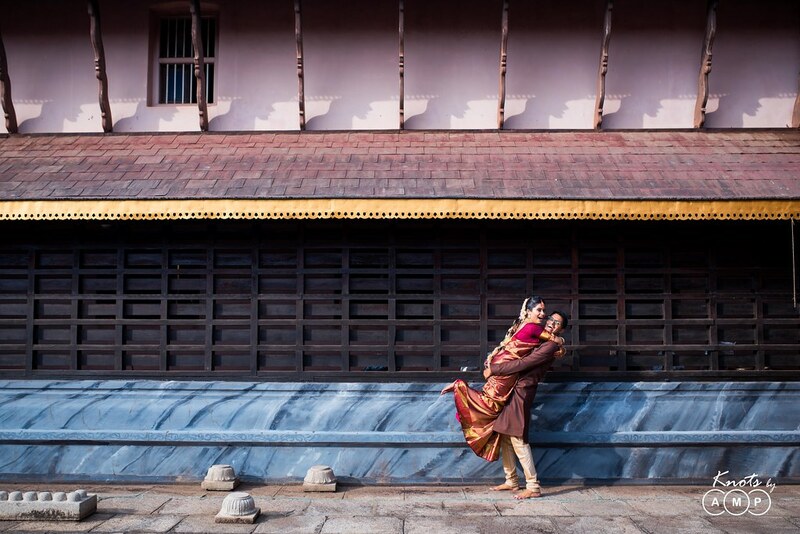 And it was a real joyride to shoot their wedding in Mangalore. Shreyas is an avid photography enthusiast himself. 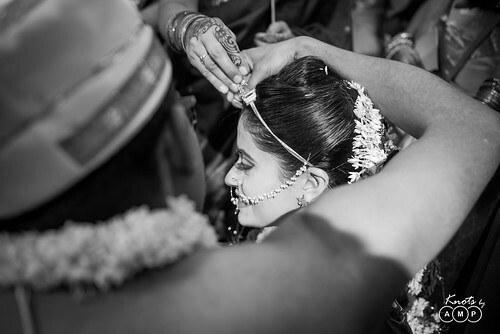 Checkout his FB page – A Pensive Polaroid for some stunning street photographs across the world. 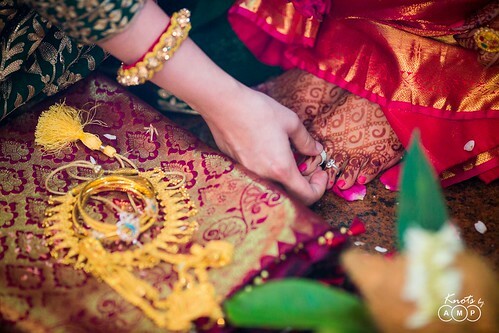 Now, coming back to our story. 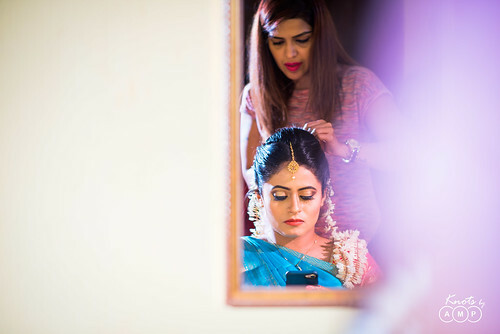 He wanted an amazing, creative candid photographer for his wedding, and so we were booked for his big day in November last year. 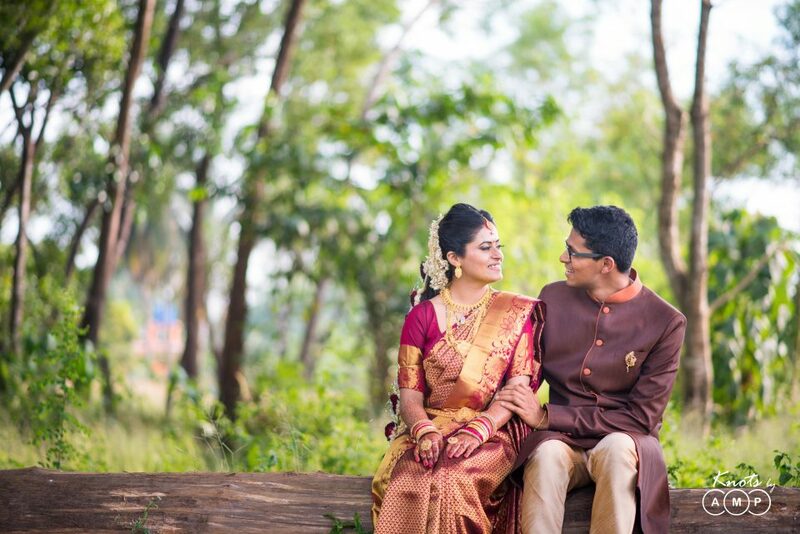 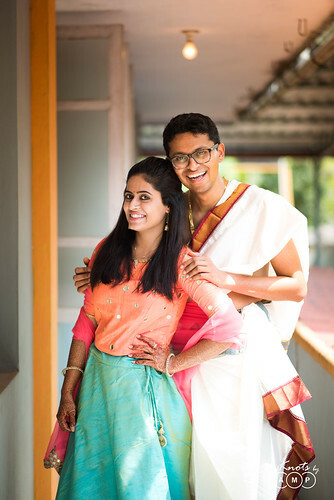 Shreyas & Shruti were batchmates in VIT, and that’s how their story started. 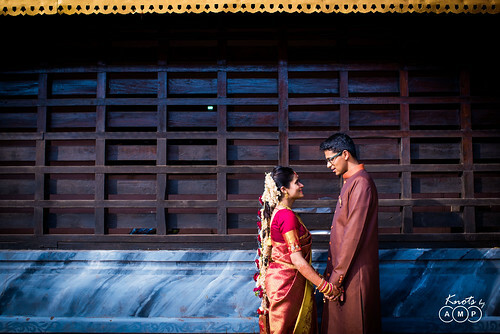 Their relationship stood the test of time & survived the barrier of long distance relationship. And thereafter, the date was set. 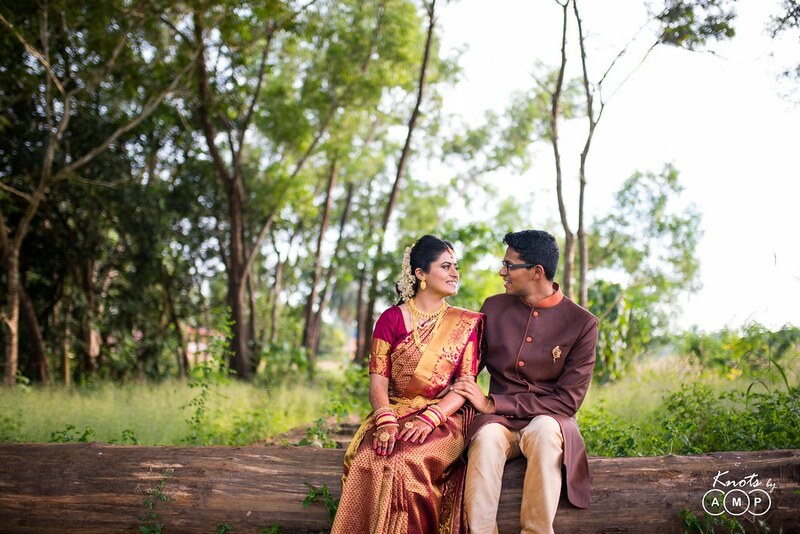 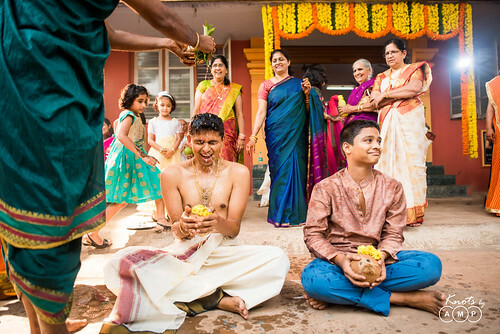 A true manglorean by heart, Shreyas always wanted his weddding to be in Mangalore. And after convincing his north indian fiance Shruti & the families – yes it did! 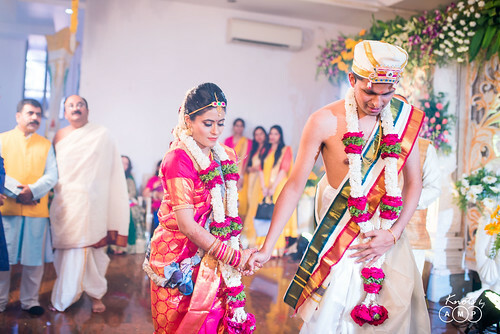 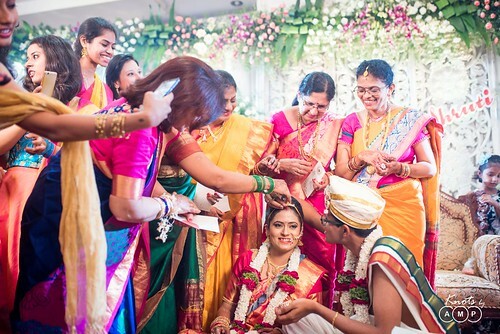 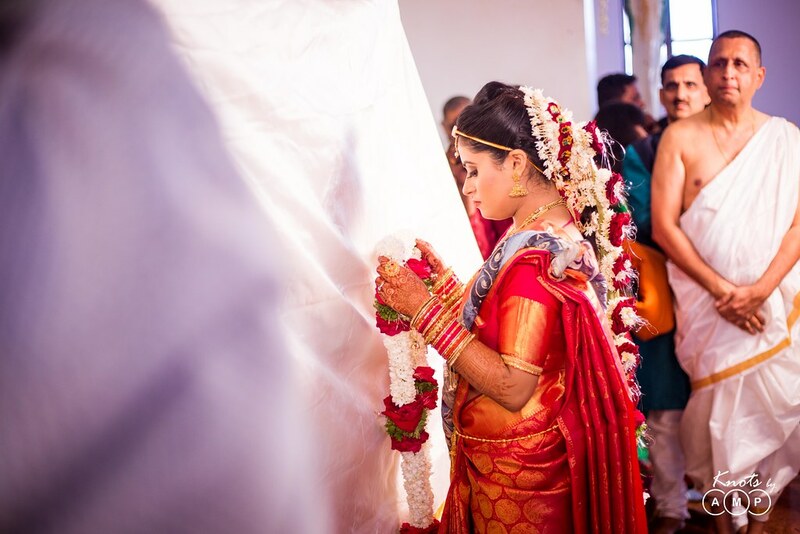 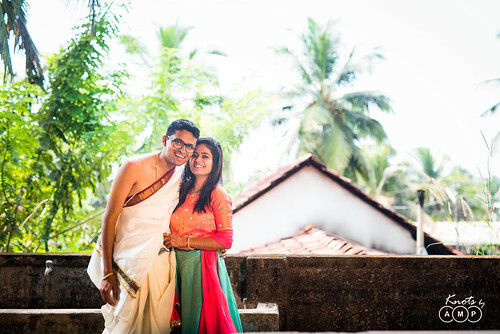 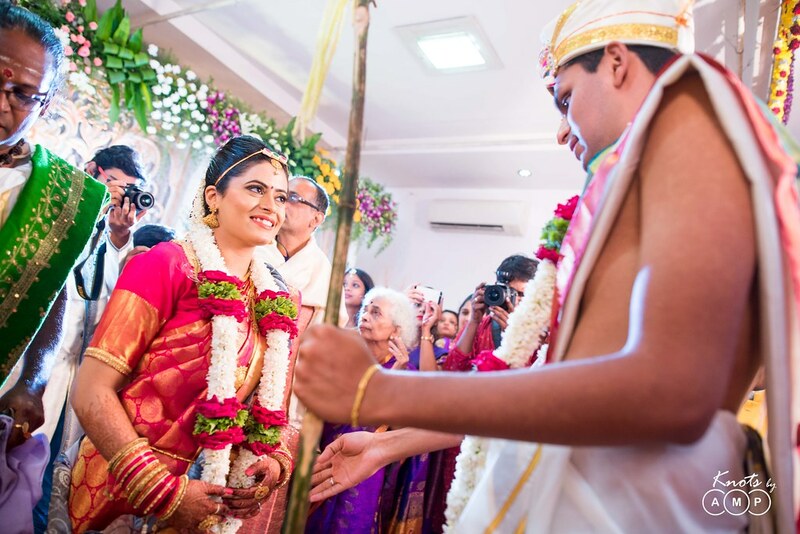 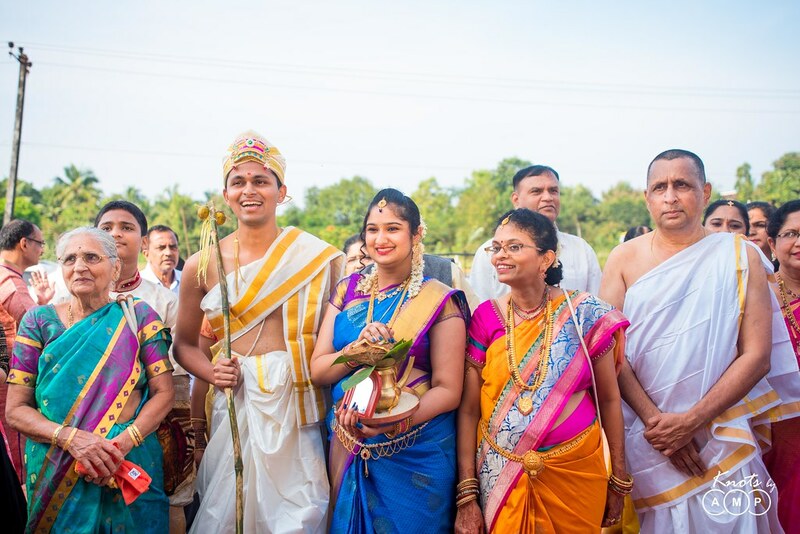 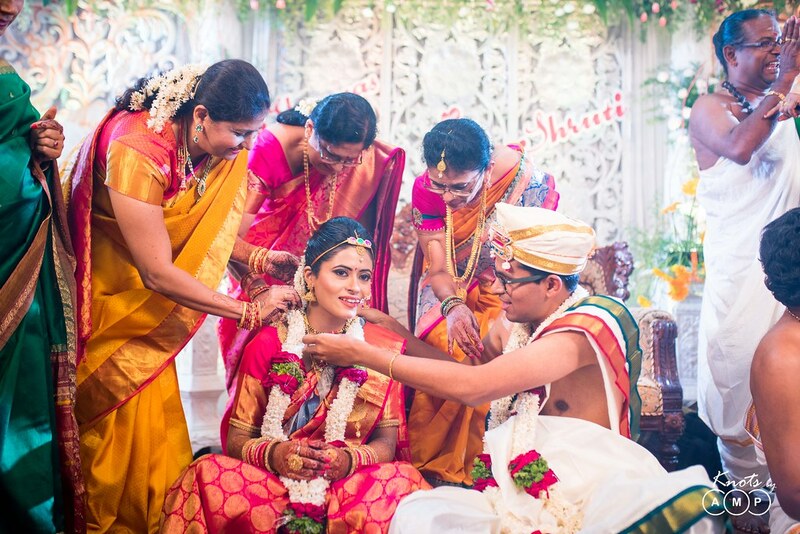 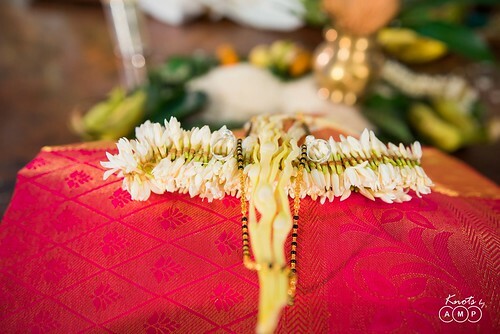 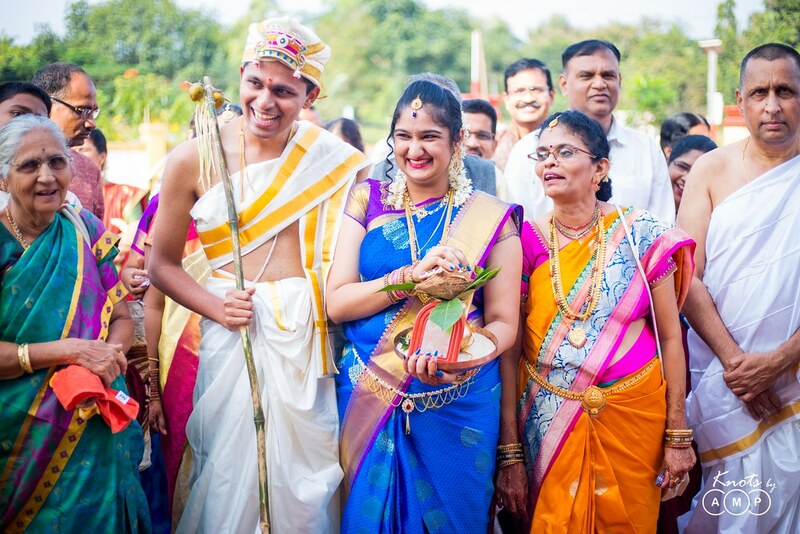 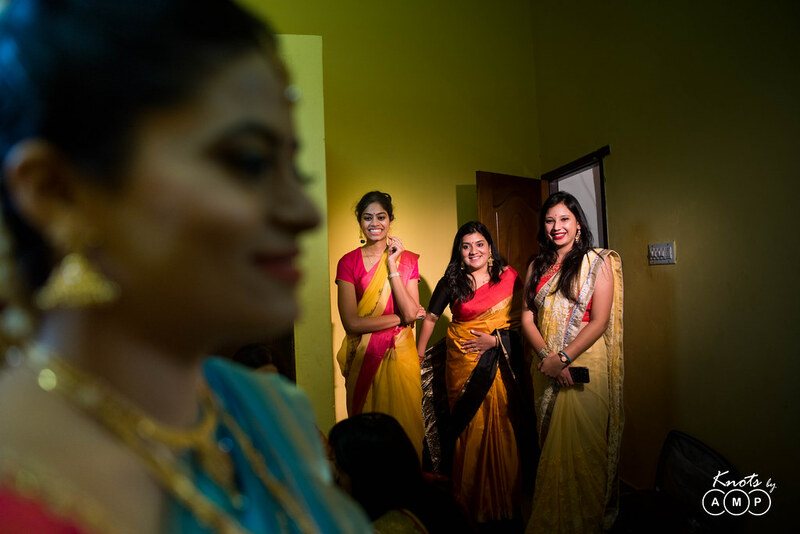 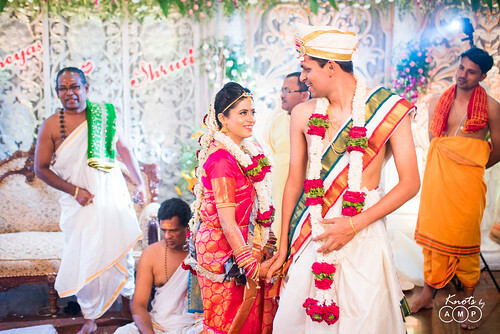 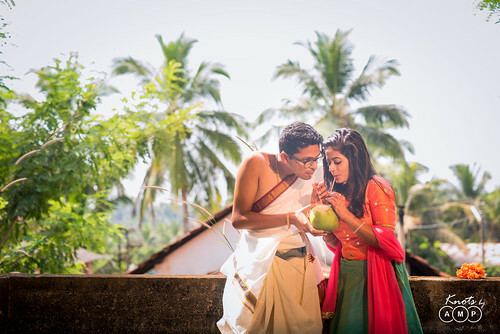 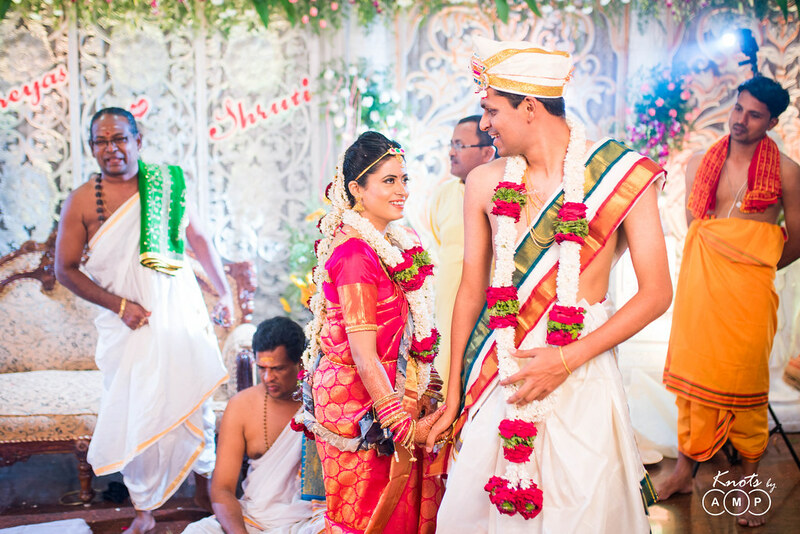 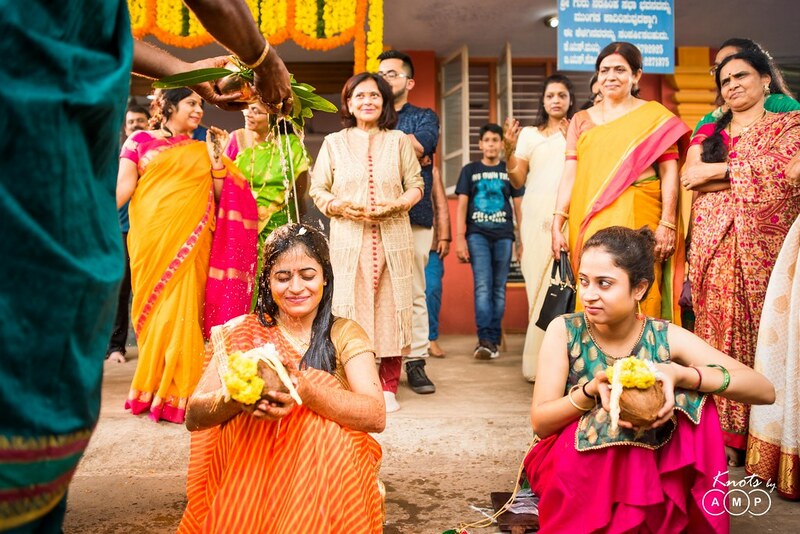 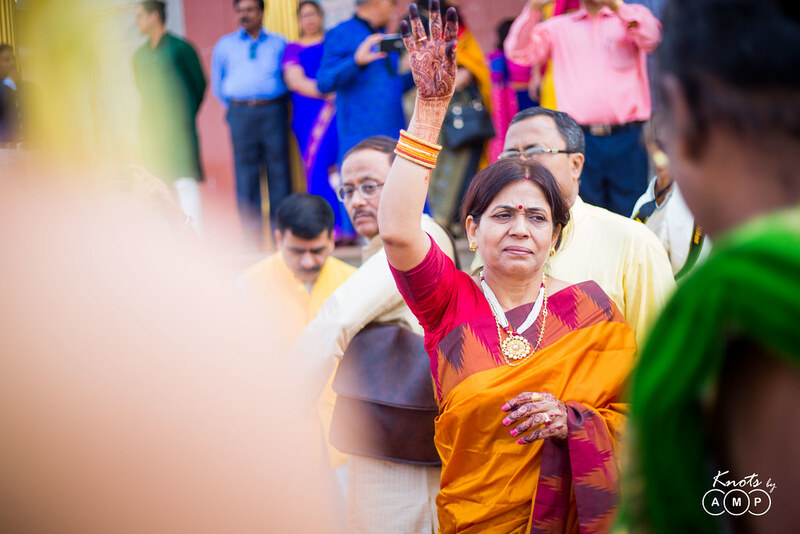 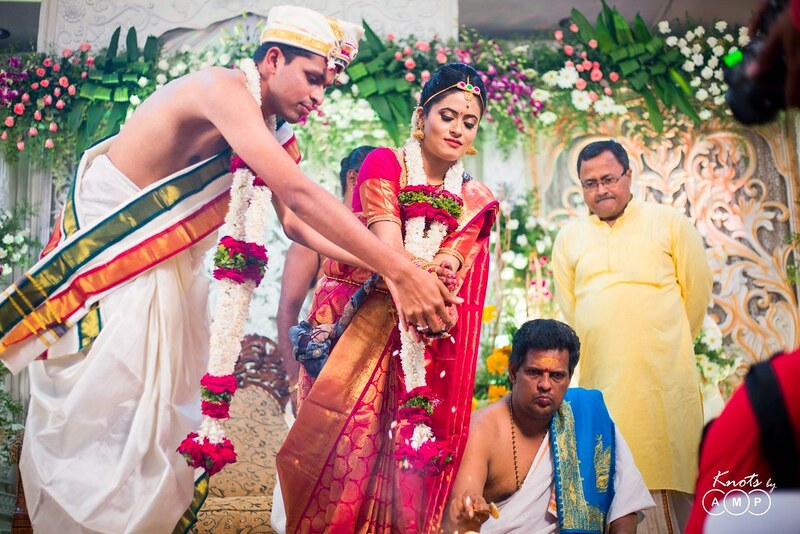 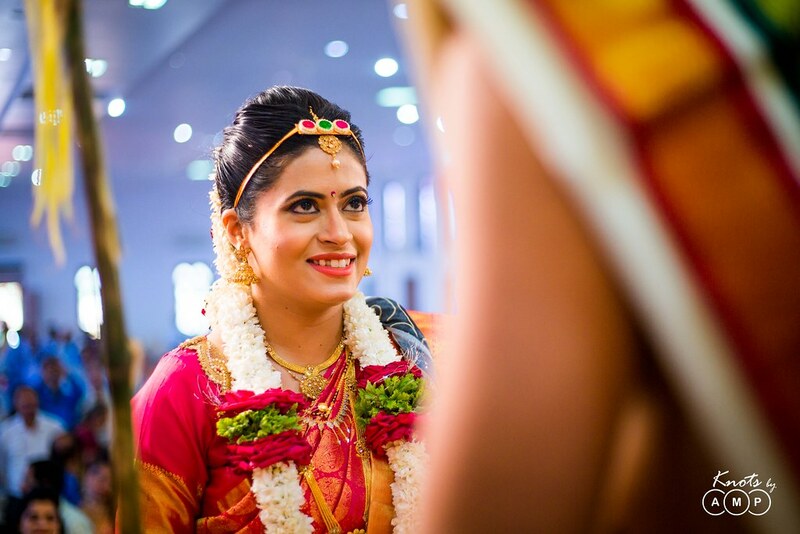 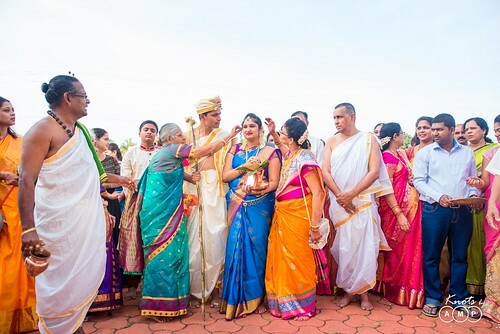 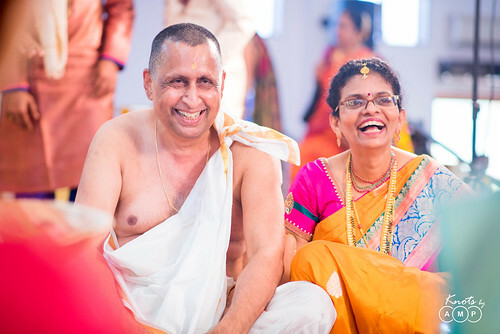 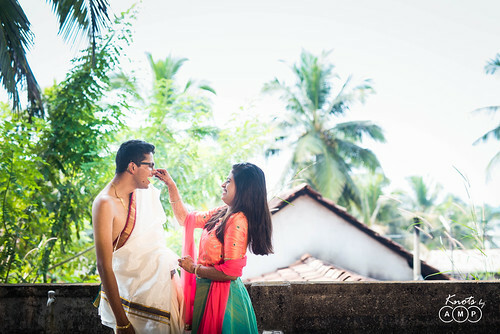 The wedding happened in south indian style in Mangalore. Here goes their wedding story. 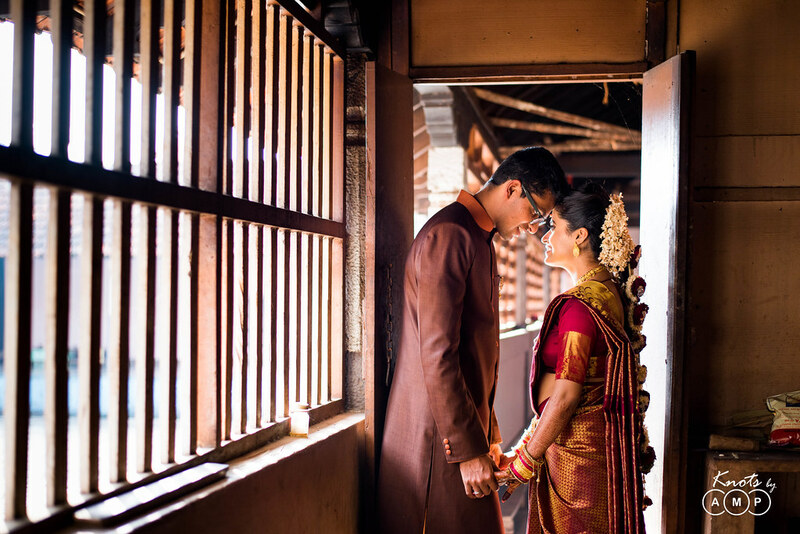 We did a post wedding shoot at Shreyas’s farmhouse at Belthangady, and it was another beautiful experience from Mangalore. 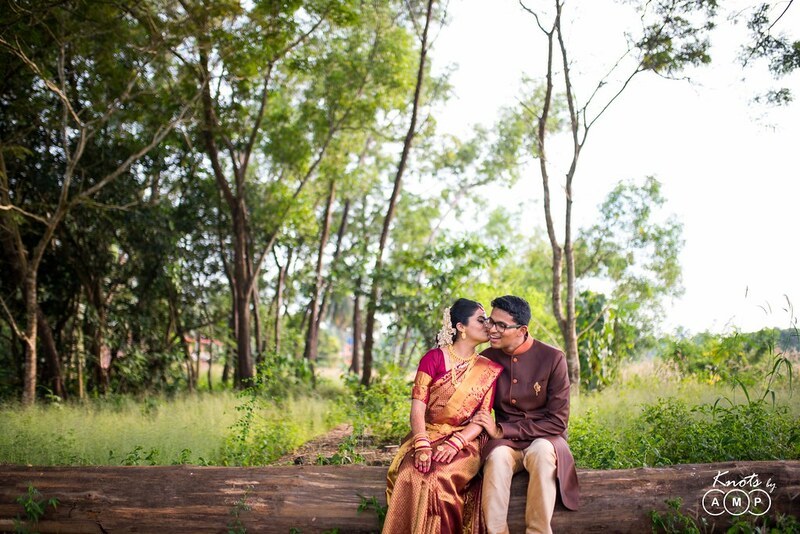 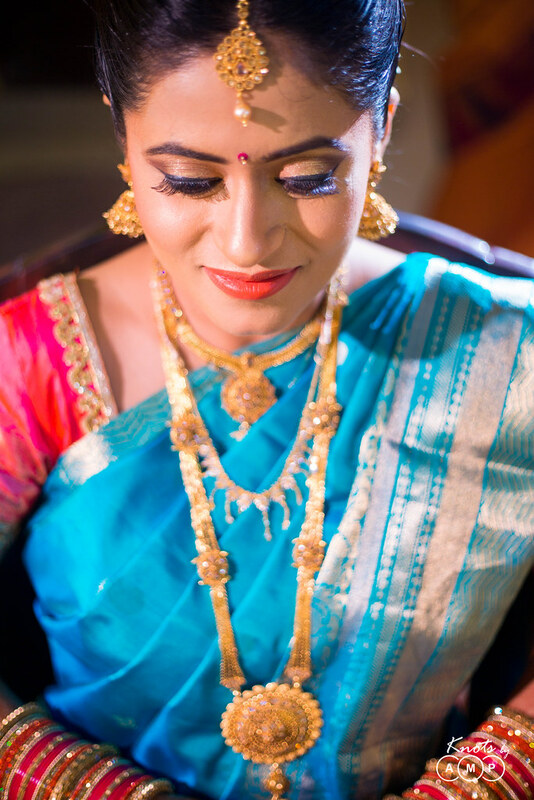 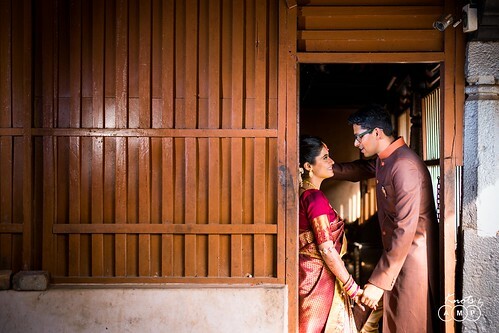 Thank you Shreyas & Shruti for trusting us, being so warm & giving us the opportunity to shoot your special days.